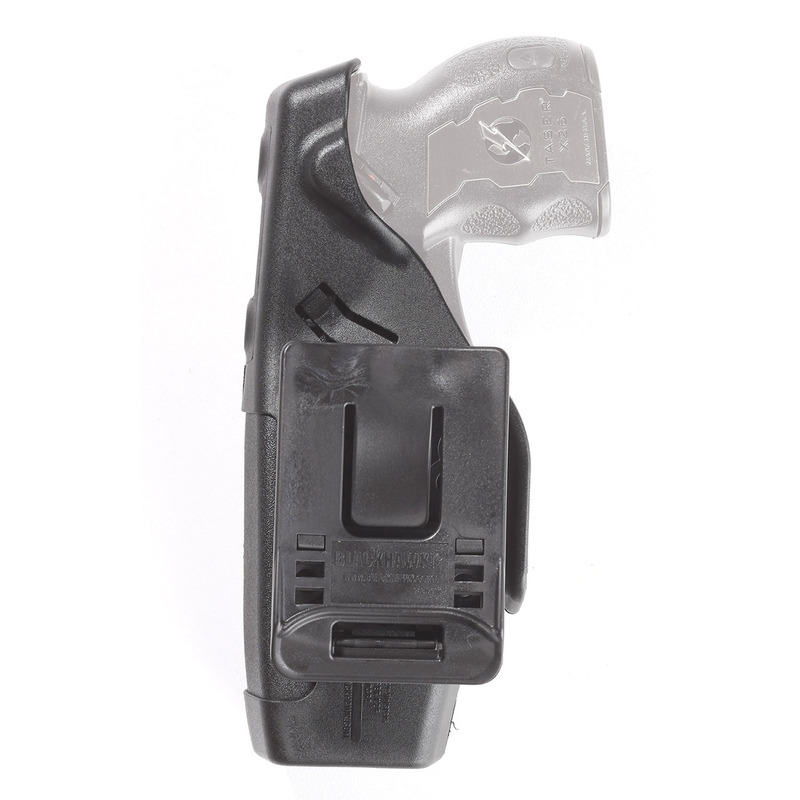 Holster comes with popular SERPA Active Retention Safety System and unique attachment for easy transfer from one officer to another. 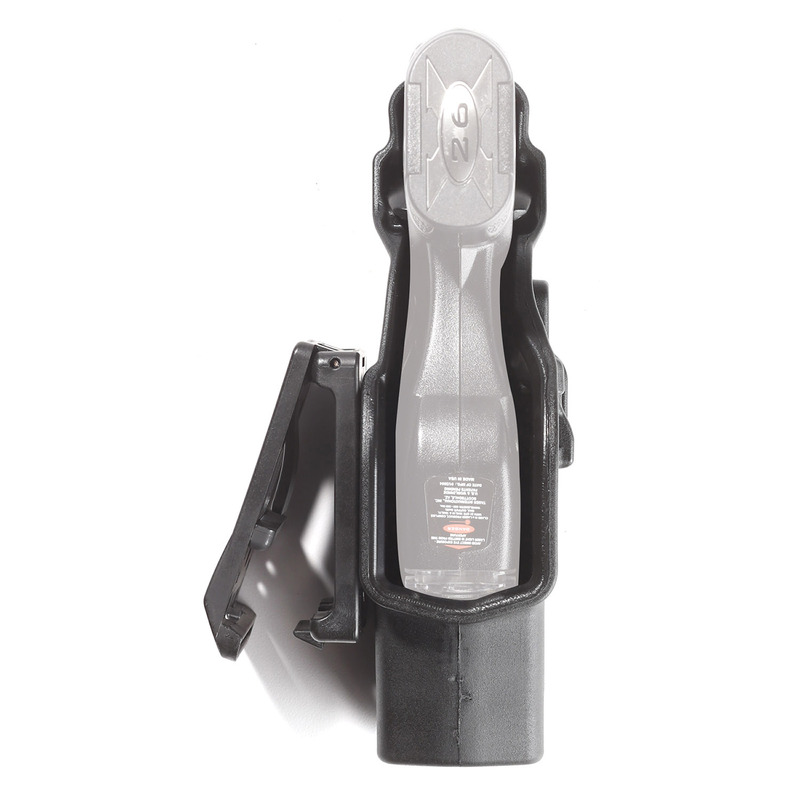 Detachable belt loop allows you to exchange the holster between shifts without having to remove other items from your duty belt. Cross draw design with rock forward draw helps prevent confusing weapons under stress. 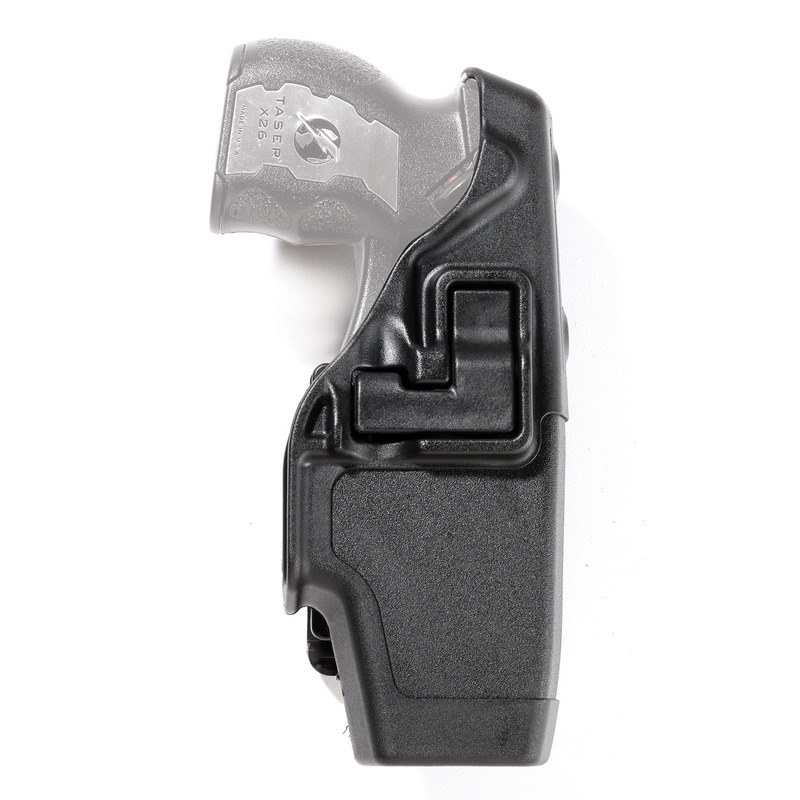 Automatically engages the safety when reholstering the TASER. *Note: this holster is not compatible with the new X26P model.